Wolf-Garten Weeding Knife 4cm Tool Head from the popular Multi-Change® inter-locking tool system, is specifically designed for connecting to an array of Multi-Change® Wolf tool handles. 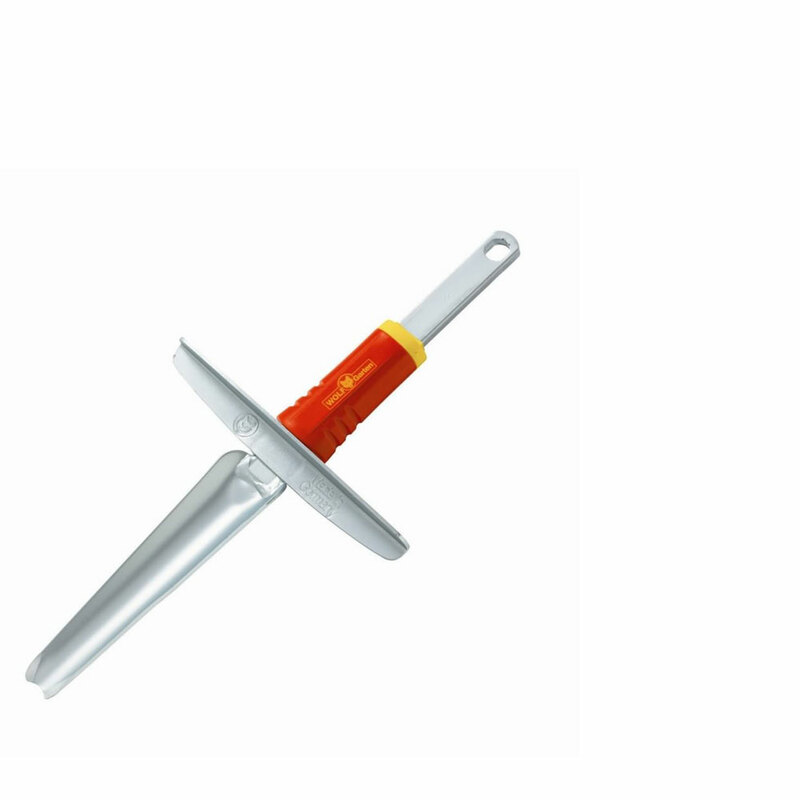 Wolf Weeding Knife attachment manufactured from high quality steel, benefits from an integrated foot rest to force extra leverage, to remove the toughest weeds with little effort or bending. Comfortably uproot weeds while standing upright thanks to the options of a choice of attachment handles from the Wolf multi change tool system. Handles such as ZMI12, ZM14, ZMII5 or ZM17 would be suitable depending on your working height to reduce back strain. Wolf tools represent high quality engineering and supplied with a 10 year guarantee.